Happy Monday! This is a really great Monday for a few reasons. First reason is that it's the Monday before Valentine's Day. And secondly, it's the Monday after the Sunday of the release of the Peter Pilotto collection for Target. I hope you had a chance to check it out, I sure did and it was fantastic! If you didn't, hurry to your closest Target store and try your luck. I got there a few hours after opening and it was very picked over but I still walked away with some great pieces that I cannot wait to style. The bold colours and prints with that black outline is so fun and I love that the prints can be worn together or broken up and paired with more solid pieces. I threw on this outfit yesterday in a hurry to get to Target. I felt super comfy and chic and even wore it to a casual dinner that night - beanie included because you do not want to see the state of my hair underneath that life saving little hat! This is a great look. You can pull off so many different styles. 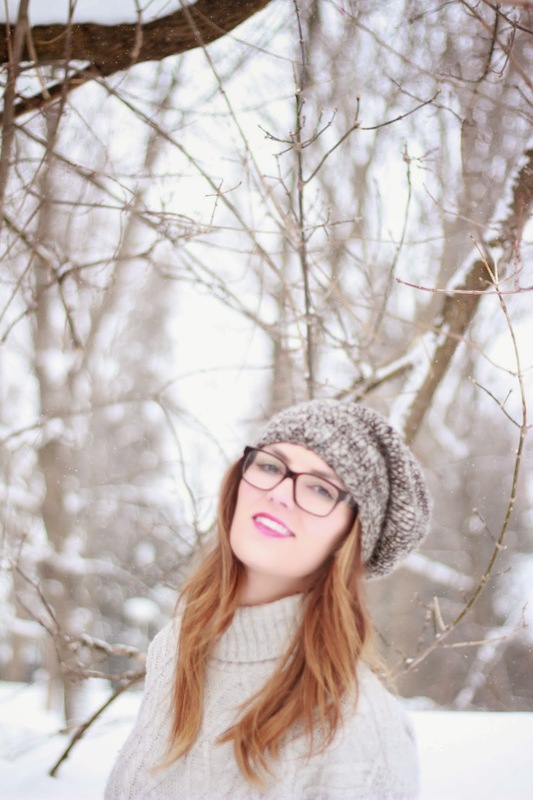 You rock that beanie and those glasses!